New to rowing? Start here! 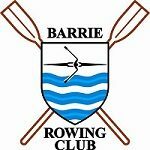 The Barrie Rowing Club seeks an experienced rowing coach to oversee all aspects of our summer competitive program for the 2019 season. The program involves high school and university athletes from the ages of 14 to 23 and includes sweep and sculling boats. The program also coordinates practices and competitions with the Masters program. The competitive program typically practices 6 mornings a week on the water along with complimentary afternoon training sessions. Principal responsibilities include but are not limited to coaching, recruiting, scheduling, some trailering, and administration of the day-to-day operations. Special Information: Applicant must have the ability to meet physical demands of the position at external and internal sports facilities. Weekend travel. Considerable reaching, stooping, bending, kneeling, crouching, running. Mobility and manual dexterity. Contact with Board, athletics, and outside vendors. Applicants must have a valid driver’s license as well as a Pleasure Craft Operator Card. Click here for a complete information document and application package.